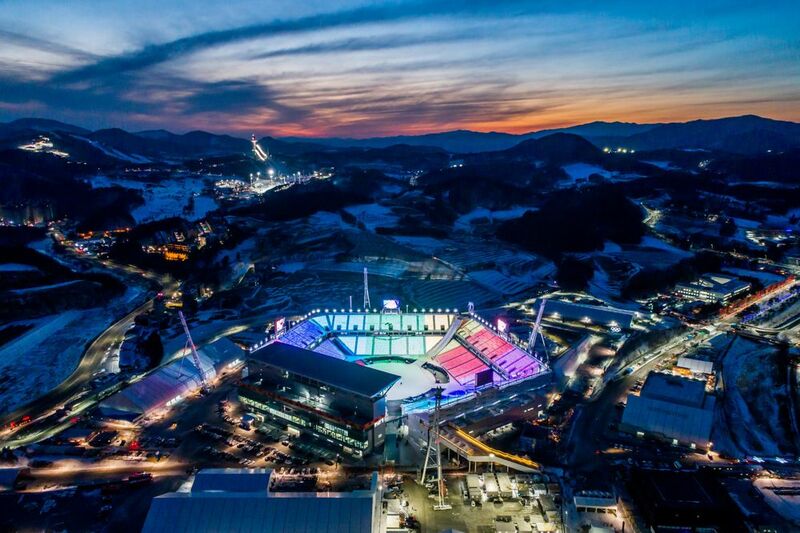 February 25th marked the end of the recent 2018 Pyeongchang Olympic Winter Games. With general feelings of success, the world’s participating nations are now left to bask in their accomplishments, praise the achievements of their heroic olympians, and prepare for the coming Tokyo Olympic Summer Games to be held in 2020. 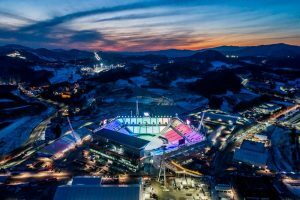 In the wake of the heady days of competition with both the Olympic and Paralympic Games coming to a close, organizers in South Korea are planning to demolish several of their new buildings, according to npr and vox news outlets. This type of news stands in stark contrast to the events of only four years ago, with the international scandal that was the Sochi Winter Olympic Village. 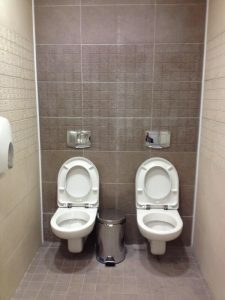 The internet was flooded with vines, tweets, and articles (like “Epic Construction Fails at Sochi Winter Olympics in Pictures” from the website Wonderful Engineering) documenting the perceived hilarity and “fail-“ure of Russia’s olympic construction project. 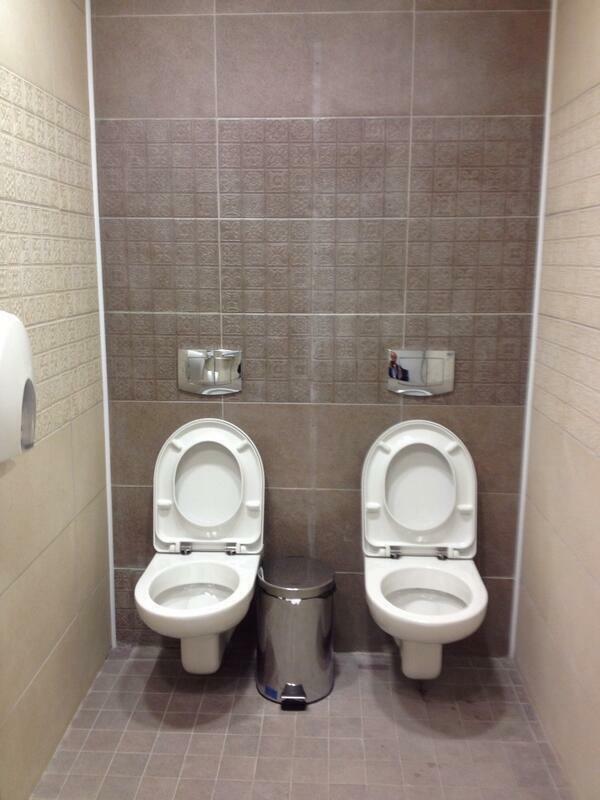 However, these jesting images obfuscate the dark truths about the Sochi construction project. Specifically, the Sochi Olympic Village was built on the backs and often lives of migrant workers from Russia itself as well as the Balkans and Central asia who were unwittingly trafficked into construction jobs. This specific context is important to explore as an instance of human trafficking because it changes the image of the victim and draws attention to a different economy, one less empathetically charged more complexly integrated into institutions. Each point outlined is accompanied by recorded accounts, testifying to the abuses suffered. The accounts are very similar and work together to create a common narrative for the victims of labor exploitation. An individual from a former soviet state follows the siren call to Sochi, migrating by official means or otherwise to Russia for the prospect of steady, sustainable income (likely to be sent back to family in remittances). However, once they arrive and begin working, the circumstances of the job turn out to be radically different from what was originally intimated. Some workers (the most lucky it seems) were able to quit and leave only to have experienced financial loss (see Wage-related Abuses). Others were at severely greater risk for exploitation and trafficking due to strict regulation of migration in/into Russia. For example, some workers had no other option than to work, or work for one contracting company, because they had their identification documents illegally confiscated, and “under Russian law, all foreign workers employed in Russia must have an official work permit, which they can obtain themselves or which the employer may obtain on their behalf” (see Withholding of identity documents, non-provision of work permits). Or, as described in this article from Reuters, many migrant workers were given jobs (officially or otherwise) but were only admitted to Russia on tourist visas. Therefore, after a period of time, they were expected to cross back over the border, so they could return to work. Otherwise, still others continued to work with expired visas and did their best to avoid authorities, detention, and deportation. The stories of these migrant workers do in many cases meet the three three requisite aspects to constitute human trafficking (Act, Means, and Purpose, based on the Protocol to Prevent, Suppress and Punish Trafficking in Persons) as outlined by the UNODC. Let’s follow the story of Sasa Matic from the Reuters article mentioned above, in order to unpack the three necessary elements of human trafficking. Act (what is done) – According to the authors of the article Sasa Matic of Belgrade is offered a two-month construction job in Sochi, and accepts, despite the deal sounding “dodgy” due to the promise of good pay. Purpose (why it’s done) – Here the purpose is clearly to exploit and force the labor of vulnerable, precariously-situated migrant workers. Why then, despite having anti-trafficking legislation, and an “obligation meaningfully to investigate and assess the impact of construction projects on human rights” are these issues not aggressively addressed by the Russian government? 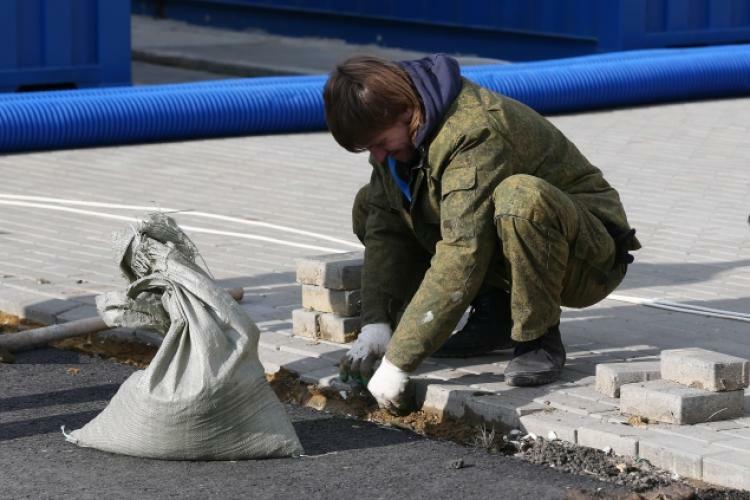 In order better to understand the more specific context of the Sochi Construction labor abuses, it would help to understand the greater systemic factors that lead to and facilitate these kinds of abuses and violations of human rights. 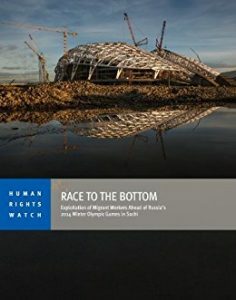 To put succinctly, while Russia’s economic dependence on migrant labor will ensure the influx of labor migrants into the country, it is the popular disapproval of perceived and actual “illegal” immigration that facilitates an atmosphere of precarity, making labor migrants increasingly vulnerable to systems of exploitation and trafficking like the Sochi project. The issue of addressing these kinds of human rights violations is complicated by many pull and push factors, historical and contemporary. First, the Russian Federation maintains certain privileged historical relationships with former soviet nations, especially in Central Asia, that allow for visa-free travel across their shared borders. 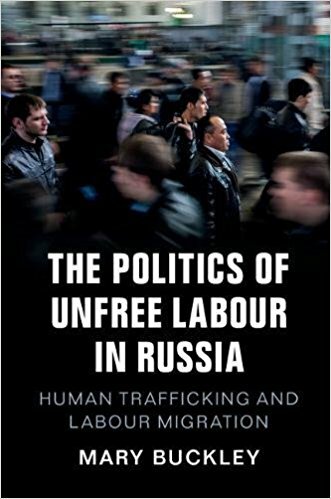 Mary Buckley’s The Politics of Unfree Labour in Russia: Human Trafficking and Labour Migration (Cambridge University Press)–in addition to other goals–traces these relationships, situating the flows or circuits of labor migrants within a larger historical context. For example, she traces the movement of workers from Central Asia to the urban centers of Russia in part to a pattern that was established in the 60s, when factories were permitted to hire supplemental workers from the area to fill existing low-paying positions. She also recounts periods of immigration from the 70s to the early 2000’s. Thus “over the 20th century migrations and movements into and out of Russia,” according to her, “were not rare.” In other words, Buckley shows that russia’s borders, while not completely open, have always been porous and allowed for regulated necessary crossings. 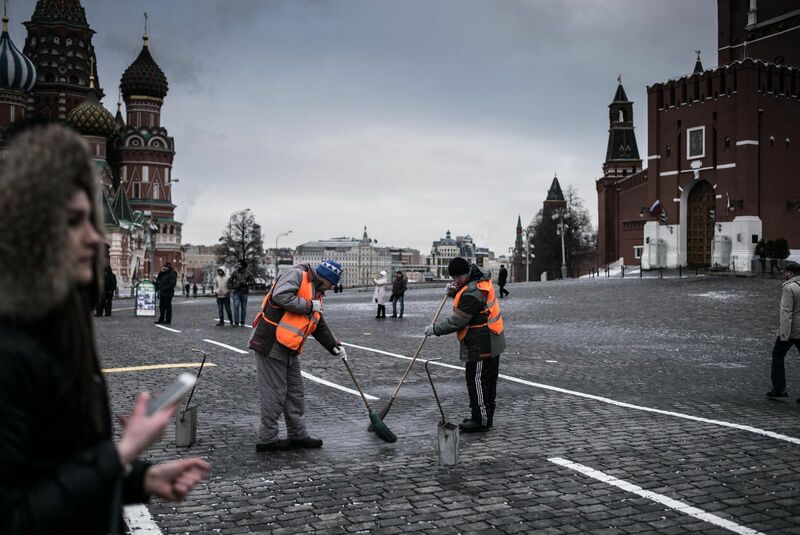 The Human Rights Watch page on Migration to Russia, further contextualizes the necessity of immigration to Russia in terms of the country’s economy demographic crisis. Russia’s population has been rapidly declining, and in order to maintain normal economic levels the country’s workforce has to be replenished with migrant labor (see the UNDP- Demographic Policy in Russia, and the ILO-Russia Needs Migrant Workers). Therefore the factors pushing migrants from their countries of origin, be they economic hardship, joblessness, and civil unrest, are matched if not trumped by the very real pulls of Russia including: economic opportunity, better wages, and most importantly demand for workers. Despite the Soviet government’s historical facilitation of border-crossing, contemporary Russia’s dependence on labor migration, and the ostensive “friendships” between neighbor soviet states, Buckley importantly brings up the equally historic anti-immigrant sentiment of the Russian people. She writes, “a word frequently heard was priezzhii, a rather elastic category referring to a newcomer or anyone who had ‘arrived’ – and someone always had…What increasingly mattered to public opinion, however, was who was arriving.” Priezzhii, as a term is still used, but it is largely subsumed by the more othering loanword “gastarbaiter.” Literally meaning guest worker, gastarbaiter carries the connotation of a person invited and willing to do the work that natural citizens are disinclined to perform, though somehow still wrapped up in the “stealing our jobs” sentiment so often evoked in US discourses of immigration. This history is then further complicated by Russia’s constantly changing legal responses to migration. Both Buckley and HRW (Exploitation of Migrant Construction Workers in Russia) describe the increased regulation of immigration in response to xenophobic, racist, and nationalist sentiment. Fluctuating immigration quotas, three-day registration periods, heavy fines, and language, history, and civics exams have all been implemented in reaction to the perceived crisis of irregular immigration. Thus, legal projects have led to increased and more stringent regulation of movement, while doing nothing to address the structural demand for migrant labor, or the pull factors for immigration. The pull and push factors may provide the impetus for border crossing, but the laws in Russia as a destination country then facilitate the trafficking and/or exploitation of migrant workers. Put differently, as long as movement into Russia is so heavily regulated, the legal system will be putting migrant workers at increased risk of trafficking and labor exploitation (ignoring for the moment corrupt government officials/police who participate in trafficking and exploitation). It is the precarity enabled that leads to exactly the situations experienced by workers during the Olympic Park Construction: withholding wages, confiscating travel documents, fear of arrest, detainment, deportation, working in abusive conditions, and all because the workers have no legal options or recourse. Therefore, the instances of human trafficking and labor exploitation described in this post are doubly obscured. First, an emphasis on particular forms of trafficking in the law, renders more ambiguous forms of trafficking (like those of labor migrants who often willingly cross borders) more difficult to combat because of higher standards. 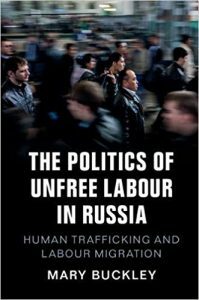 Additionally, the societal investments of Russia into labor migration make it unprofitable and undesirable to combat the cheap labor acquired by the dubious means employed by contractors and companies within the country. Posted by Michael O'Brien at 9:52pm March 6, 2018 Bookmark the permalink.